Dr. Rebecca Huntley is an Australian social researcher, author, feature writer, ABC radio presenter and has a PhD in Gender Studies. As a previous director of The Mind & Mood Report at Ipsos Australia, Huntley has been immersed in the psyche of Australia for many years. Huntley is the protégé of social researcher Hugh Mackay, someone whose books and groundbreaking insights and approach to social research, I have long been a fan of. Mackay handed over the mantle to Huntley to continue researching the pulse of Australia and she has done so by sitting in people’s houses and observing our great diversity of people, listening to what they are really concerned with and understanding what is occupying their lives. • Why do we worry even though we are lucky? • Why are Australian women still underpaid and overworked? • Why do we still want houses? • Is the next generation really that different? • How racist are we? • Are men changing? And fast enough? 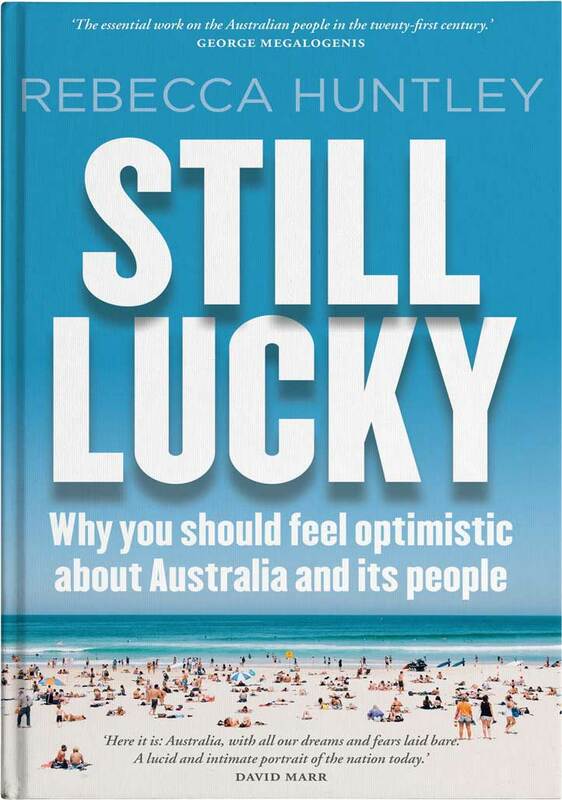 The title of Huntley’s book refers back to Donald Horne’s 1964 book ‘Lucky Country’, which was famously misunderstood. Through his research, Horne argued that we had inherited rather than earned our prosperity. His findings actually critised our national complacency. Huntley, being aware of the term’s baggage, uses ‘Still Lucky’ as a term of endearment rather than a criticism. Huntley argues that Australia is still lucky by virtue of our good hearts and it’s people, but acknowledges that we have some serious work to do and if we are not careful, our divisions and anxieties will dominate us. Huntley’s book is a great challenge to our politicians and leaders, as it asks ‘where is the long-term vision for the future?’ In her discussion groups, “the most consistent criticism levelled at our political leaders over the last decade has been their lack of long-term vision and planning.” Regardless of your politics, she argues, people want to know where they are headed. Most importantly for our politicians, she highlights that Australians are screaming out for clarity and action and want our political leaders to get on with it. This is a powerful message for all of us as leaders to heed within our industries and workplaces. With all the hype about the so called self indulgent youth of Australia, I was very curious what Huntley had to say about the ‘generational divide’, and whether we should or should not be deeply concerned about the Millennials (Gen Y), and also the new ‘Generation Z’ (iGen or Post-Millennial) that are starting to stream into our workforce. Huntley is the author of the 2006 book ‘The World According to Y’ and is often asked by clients to find that elusive ‘divide’ between the generations so they can specifically target these different cohorts. In essence, she is saying that regardless of which generation you were born into, we are all working hard, trying to cope, to strive and survive in this crazy uncertain digital world that we live in. Huntley affirms that it is our humanity that unites us rather than divides us. Although many of the topics discussed are quite heavy and earnest, there are some great lighter moments and insights from Huntley’s research. One of these moments is when she highlights that when the cost of bananas goes up, Australian’s will start complaining more, with the cost of living sure to follow, as consumer confidence declines. Coined by Huntley as ‘The Banana Index’, it depicts a kind of quasi consumer-confidence measure. I also loved her findings that Australian’s have become more demanding consumers and that we will now stand up to bad service and poor products. This can only be a good thing as it decreases the negative image of Australian’s being indifferent and poor at customer service standards. She also identifies that we are also really quite a savvy lot when it comes to the real agenda and true motivations of media, marketing and the political spin. We have an incredibly sensitive BS radar. Even if we do buy into the agenda, we know that we are being ‘duped’ to a certain degree, but we are conscious of their trickery. Take the US Election of Trump and the rise and rise of social media trolls and it can be argued that the world we live in can at times be incomprehensible. Globally and within Australia, the media portrays people as being more divisive now than ever and it appears that we are dominated by hateful popularism. Huntley’s book is a refreshing antidote to the detractors and shock jocks. Sure, Huntley highlights our many flaws, fault-lines and naivety with accurate clarity, but she also highlights that we are a highly resilient and optimist lot and our people are beautifully generous and not only willing to contribute to a better Australia and community, but consistently put that into action. I found reading Huntley’s book insightful, refreshing, affirming and at many times, uncomfortably challenging. Australian’s are a paradox. We can be mean spirited and incredibly generous. We can feel simultaneously uncertain and secure. We have closed and open minds. We don’t really know what it means to be Australian in the 21st century, but we are quick to judge someone or a group when they act in an ‘un-Australian’ way! 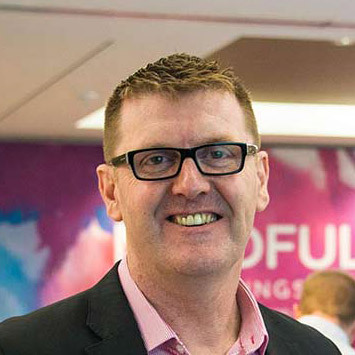 However, the overriding message from Huntley is that we are optimistic, generous and resilient people who are enthusiastic and very capable of embracing a brighter future but most importantly, are willing to put the work into making that happen. Her aim is “to make you feel better about this country and better about your fellow Australians.” She warns “this is not a book for cynics” and is adamant that the glass is half full.